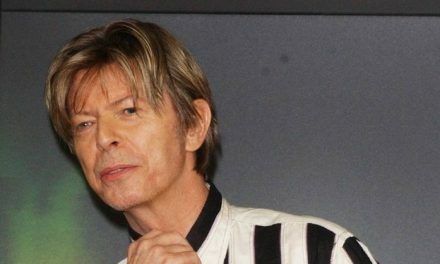 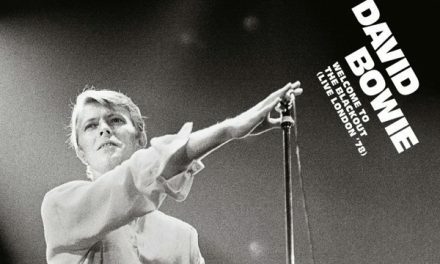 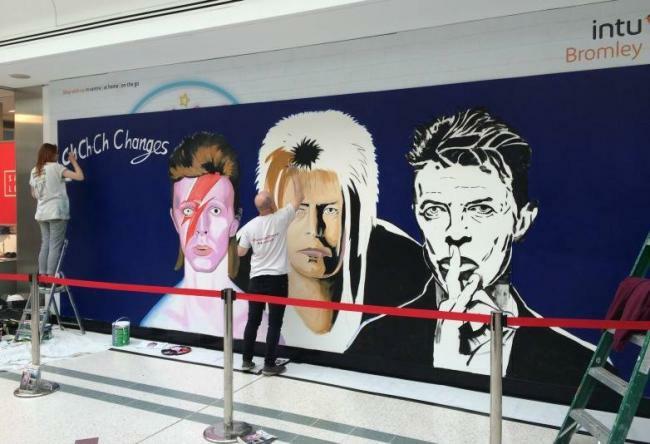 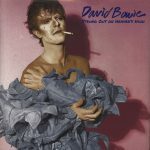 A mural to remember megastar David Bowie has been unveiled at intu Bromley. 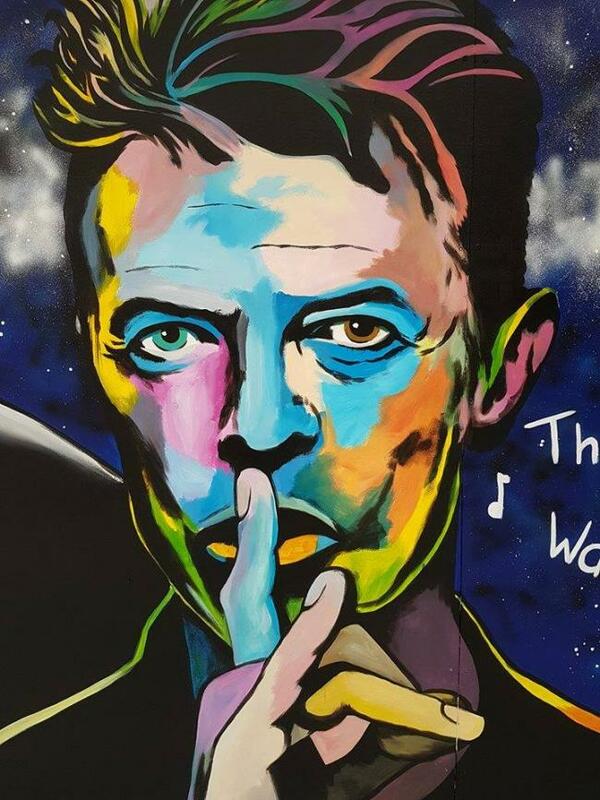 It’s one of the many tributes to the singer that have cropped up around the borough where he was raised. 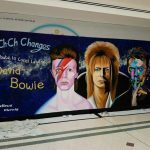 Artist Dean Tweedy told News Shopper he jumped at the chance to immortalise the pop icon in the town where he used to live. 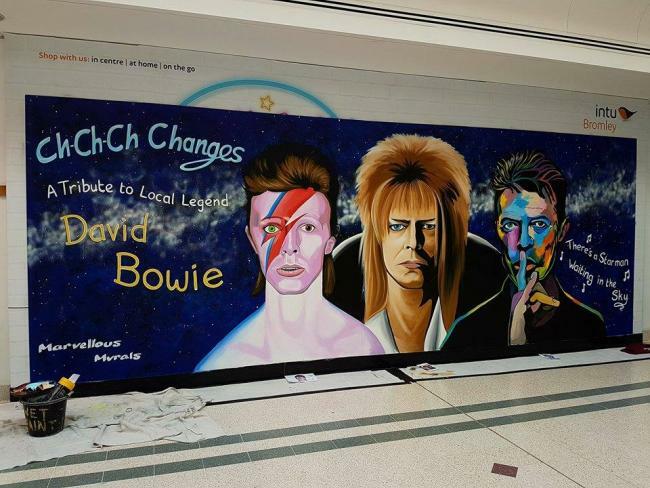 Mr Tweedy and his assistant Jaime Richards spent two days hand-painting the mural using spray paint and brushed acrylics.